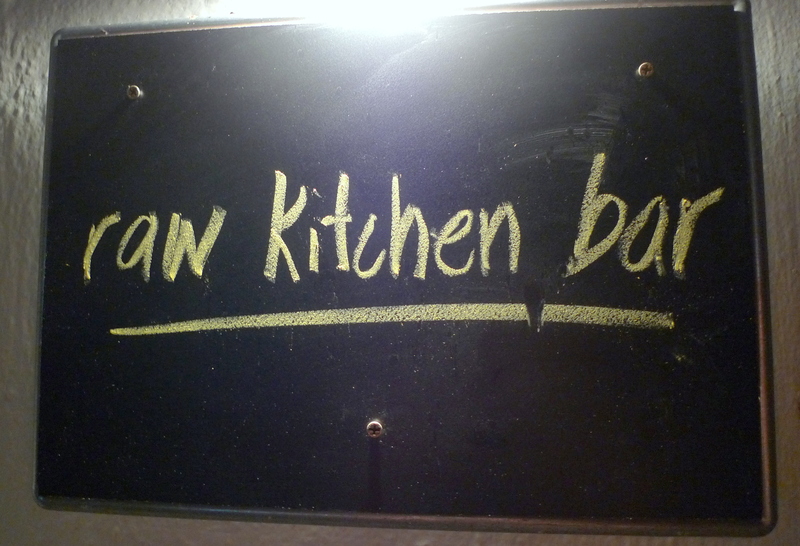 Raw Kitchen Bar – Rawr! I’m Definitely Coming Back! You know the warm feeling you get during a dinner invitation at a friend’s place? 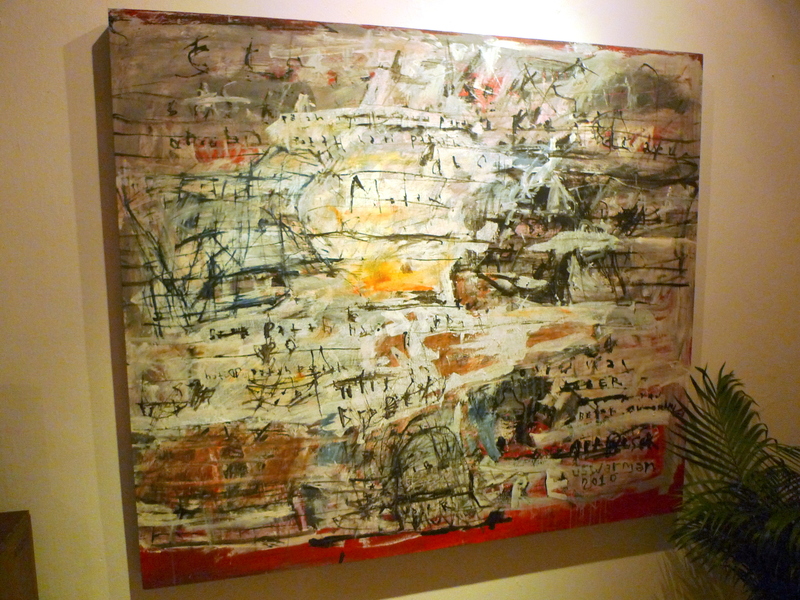 I get this same homely feeling at Raw Kitchen Bar (RKB). Occupying the former Bukit Timah Firestation, RKB isn’t exactly very visible from the main road which I feel adds to it’s exclusiveness and charm. 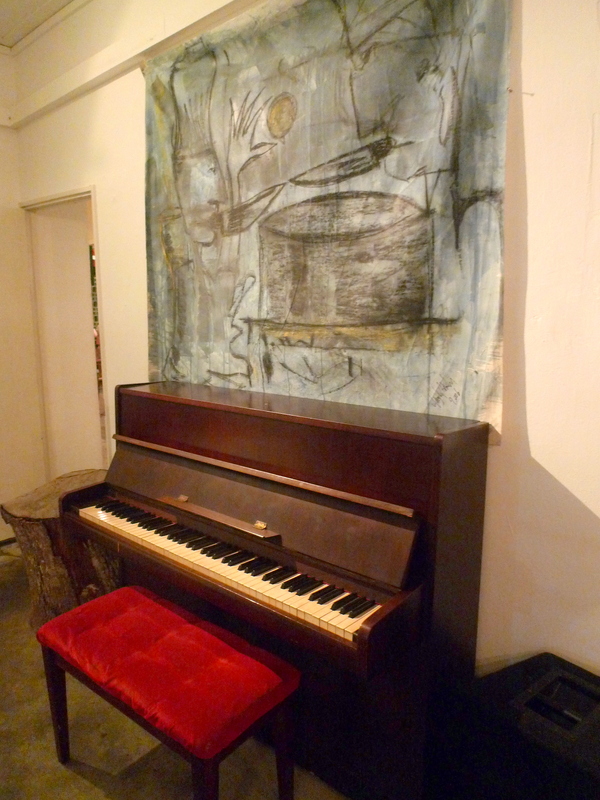 The use of random eccentricities and paraphernalia includes artwork, piano and an “obiang” looking sofa furnishes the interior of RKB and makes it really unique. I haven’t really come across anything like it in Singapore, but it kind of reminds me of Little Part One Cafe, just 10 times quirkier. 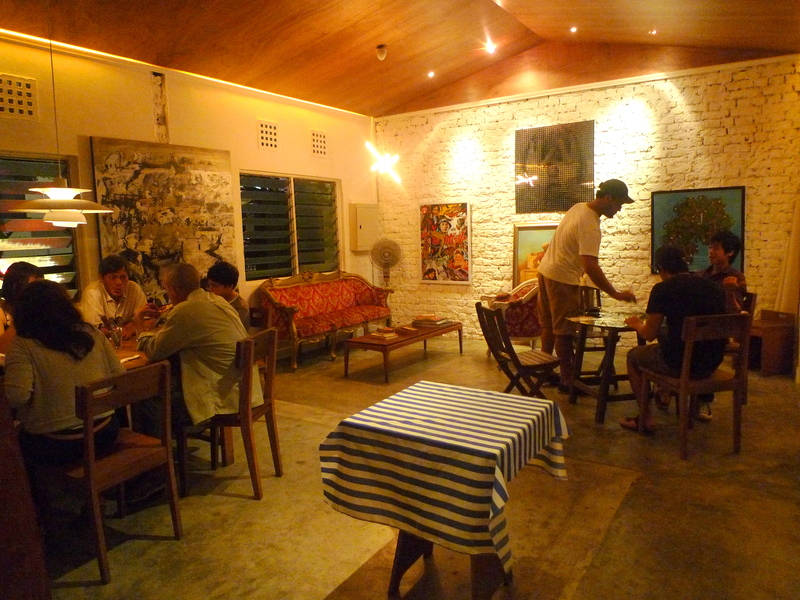 It looks to me that the sitting capacity (both indoors and al fresco) is kept to a low number of around 25-30 pax at most, probably because the team of Sharon, Javier and probably one cook in the kitchen is only able to handle this much without compromising on service and food standards. 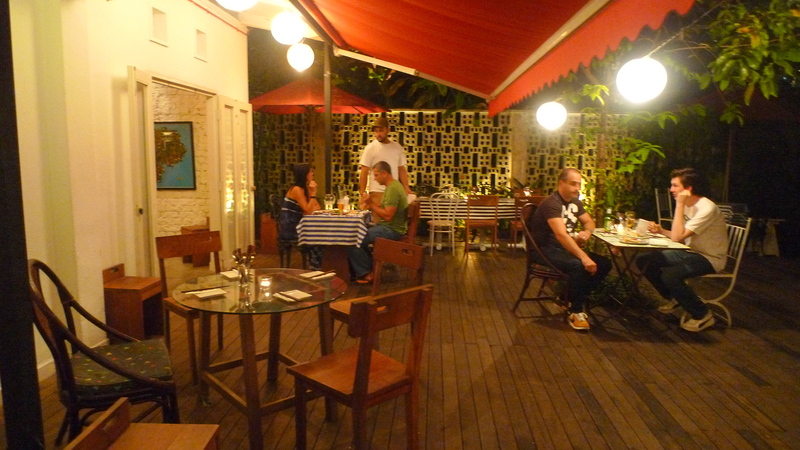 Here it seems that profitability comes secondary to the provision of sincere and flavourful food, with the spaciousness of the premises adding to the feel that you are really at a friend’s place for a dinner party. It’s the perfect matrimony of East and West, RKB’s menu boasts a selection of carefully crafted dishes that draw influences from Japanese, Italian, French and god knows what other cuisines, taking only the essence of each cuisine while leaving behind the dregs (a direct translation of “取其精华，去其糟粕”). I have never truly been impressed by Tuna (Maguro) before. Most often I find it to be too lean and not as fatty as compared to other types of fish. 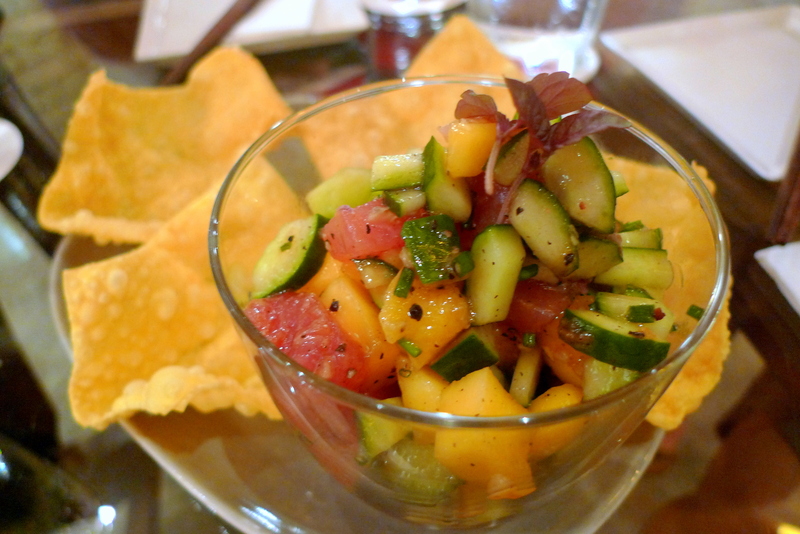 Yet I was truly taken by the Ahi Mango Poke with Wanton Chips ($16). The fresh Tuna cubes infused the marinate well and there was a perfect pairing of sweet and savoury of the Mango cubes and Fried Wanton Chips. There’s something real special about the Wanton Chips too, it tastes radically different (in a good yet inexplicable way) from the norm, with the addition of some secret spices I suppose. 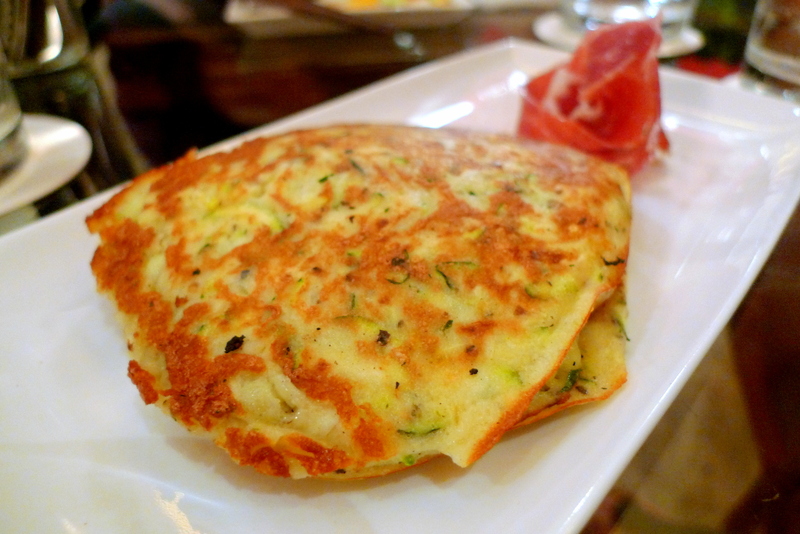 The Zucchini Pancake with Balsamic Goat Cheese & Iberico($14) is another dish worth ordering to share. Was this idea taken from the Japanese Okonomiyaki (Pancake)? The Goat Cheese is kept sandwiched between the 2 Zucchini Pancakes, with the intention probably to keep the cheese warm for an easier and softer cheese spread. The Iberico goes into the middle of the 2 pancakes like a typical handburger and the pancakes are cut into smaller pieces for easier sharing. What is Iberico you ask? It’s a cured ham, something like Parma Ham but coming from the Spanish Black Pig, sounds pretty much like a Spanish Kurobuta ham doesn’t it? 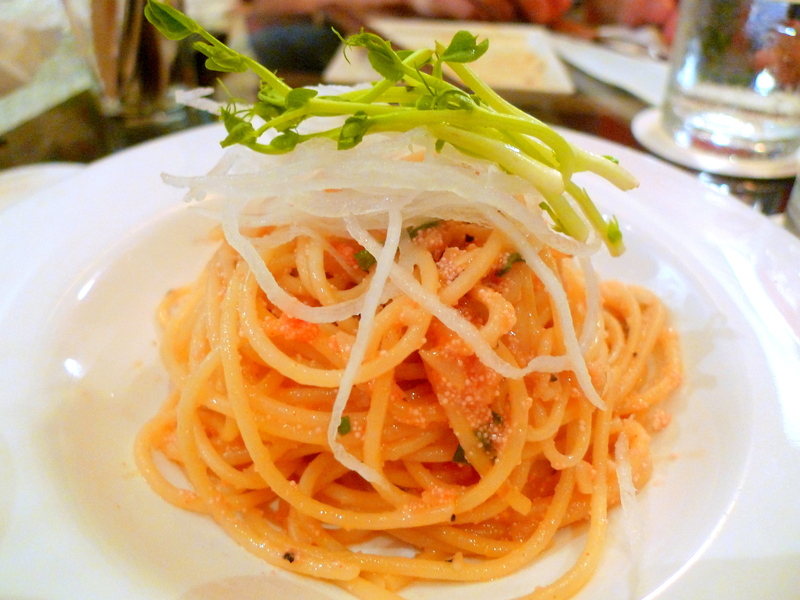 All Pasta & Noodles dishes here are sold at $19, including the Spaghetti Mentaiko. It’s nice and light-hearted but not as awesome as our previous 2 Starters. The last Spaghetti Mentaiko I ate was at TCC during their Buy 1, Get 2 Free Promotion and compared to TCC’s, RKB’s version isn’t as thick or creamy. Surprisingly, it wasn’t the BBQ Pork Ribs ($20) that blew us away but its side of Crisp Cheesy Parmesan Roasted Potatoes! It’s soooo good, I’m amazed I haven’t seen any such Potatoes being sold at other restaurants before. I shall stop harping about the potatoes now because the Ribs do deserve credit. 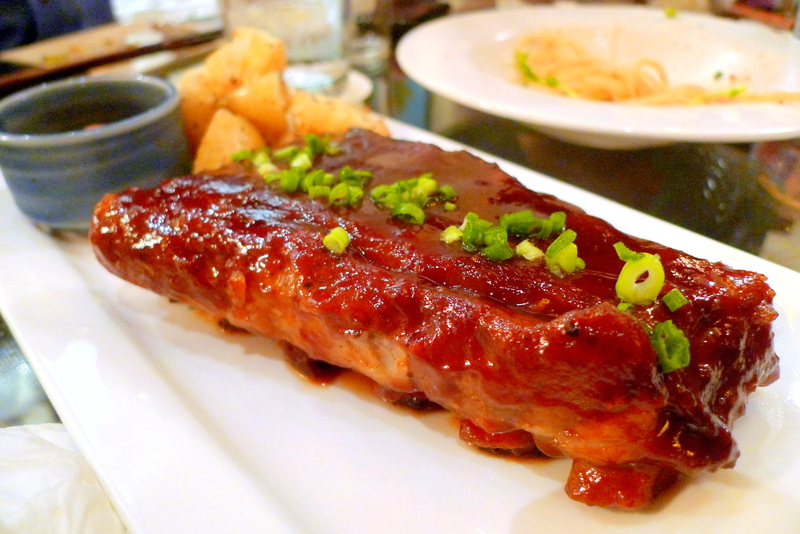 I prefer the ones here to Tony Roma’s & Chili’s, restaurants supposedly specializing in Ribs, probably because I prefer my ribs soft and fall off the bone tender rather than the slightly chewier and charred ones served at the latter mentioned restaurants. 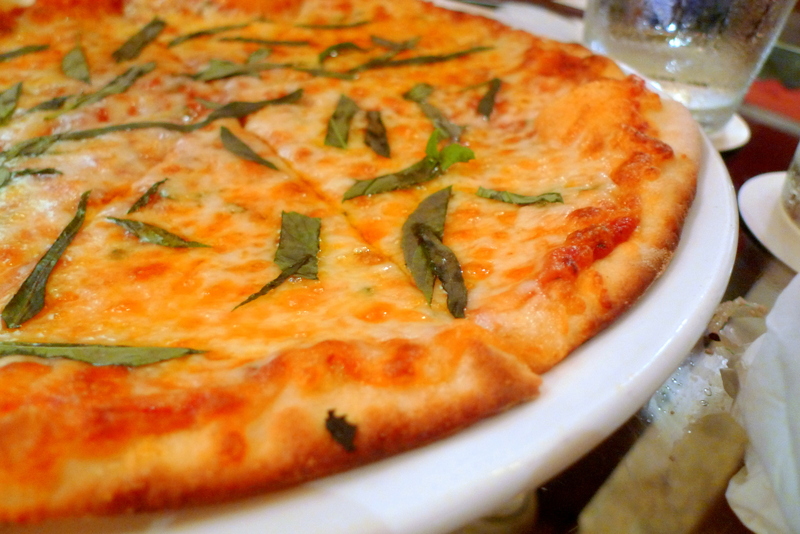 The thin crusted Basil, Mozzarella & Rosemary Pizza($19) here is one of the best pizzas I have ever had in my life. 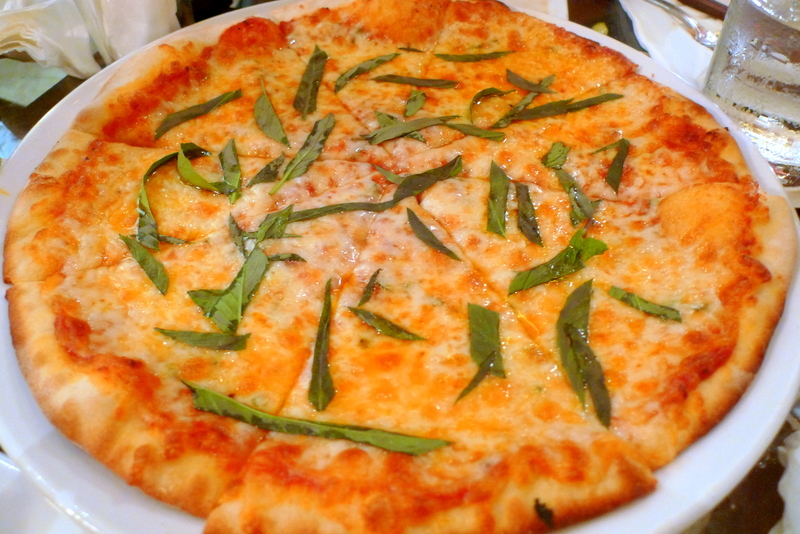 It’s beauty lies in it’s simplistic nature, with an emphasis on the full flavoured Basil and Rosemary. What I find most affordable here is the Desserts! 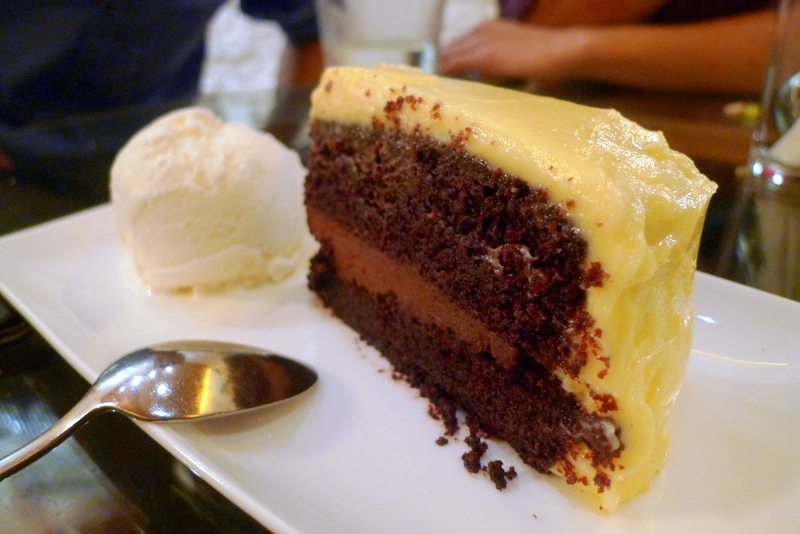 One of the Day’s Specials, the Guinness Chocolate Cake($8). The chocolate isn’t too dense or overwhelming and the gentle bitter hint of Guinness keeps the sweetness factor from getting too out of control. If I’m not wrong, the white portions of the cake is creme cheese. Despite not being on the menu, this was actually my favourite Dessert for tonight! 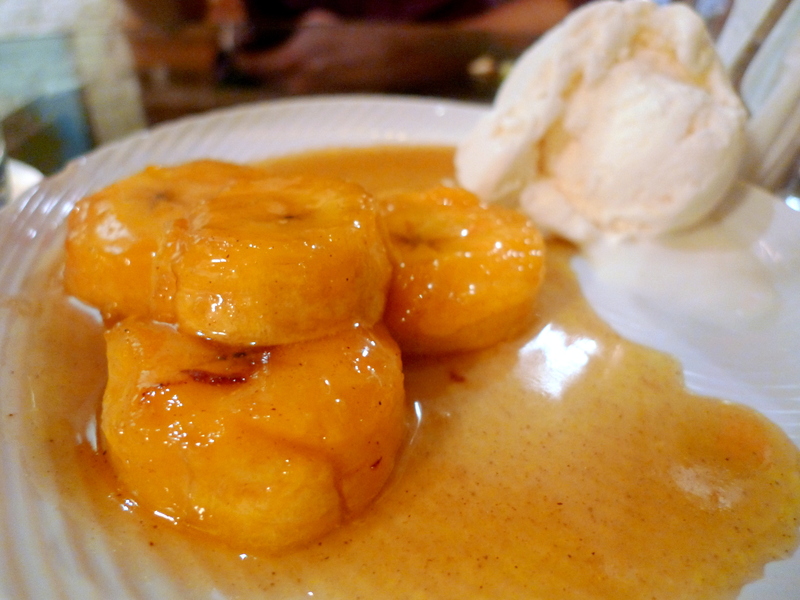 The Rum + Brown Sugar Plaintains with Vanilla Ice Cream($6). I know they look and taste like Bananas but Plantains are slightly different as they are firmer (and thus is often cooked before eating) and have a lower sugar content. 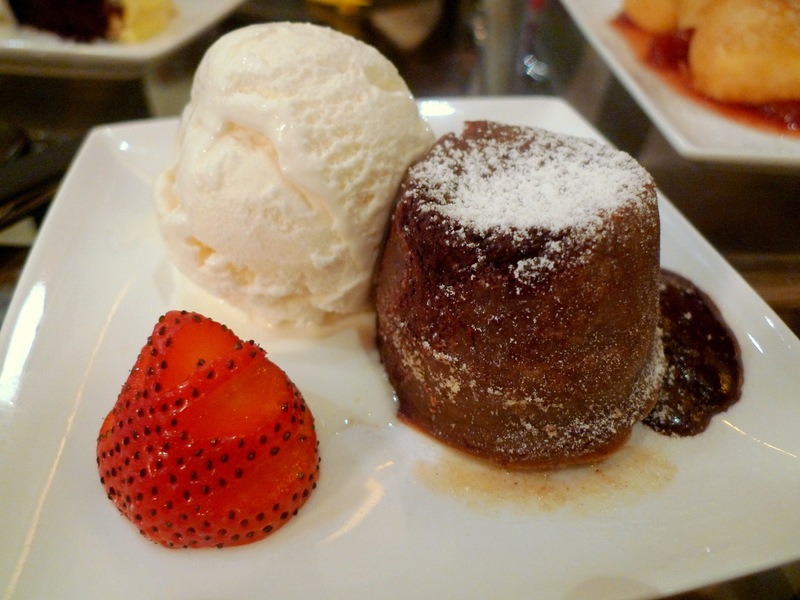 The Classic Molten Lava Cake with Vanilla Ice Cream($6). It’s such a ubiquitous dessert that it’s hard to find a really outstanding one nowadays. This one was just above average. 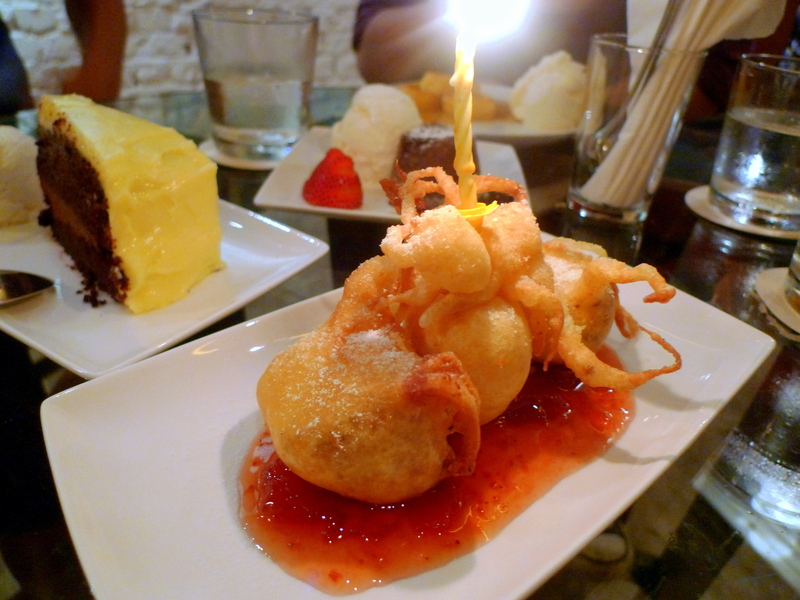 One of RKB’s signature desserts, the Fried Cheesecake with Strawberry Marmalade($6). I have only heard of Fried Snickers & Mars Bars but Fried Cheesecake? It’s novel but I would have preferred a classic cheesecake to this battered one. It was G’s birthday so we got him a candle. Don’t you think it actually looks nicer this way? Maybe in the future, RKB will just put the candle as a default decoration. One of my most memorable meals ever, it’s not going to be a case of whether I’m coming back but rather a question of when? This one’s definitely a keeper. area is a a good deal of happier apartment.